The last weekend could be officially branded as The Father’s Day weekend. Quite a few brands designed entire Facebook campaigns on this occasion, while a lot of them celebrated with visual content updates or ran simple contests on Twitter. More than 10 hashtags dominated this weekend on Twitter India trends. As we all know Facebook is more about visual updates, so most of the brands followed it expecting to soar engagement numbers. And, in fact some did! 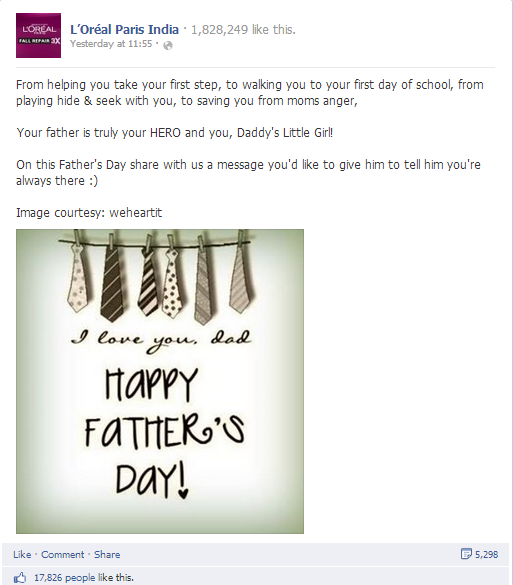 Using Unmetric we have pulled out the 10 most engaging Facebook content posted by brands during Father’s Day. Weightage has been given to the maximum number of shares. 1. 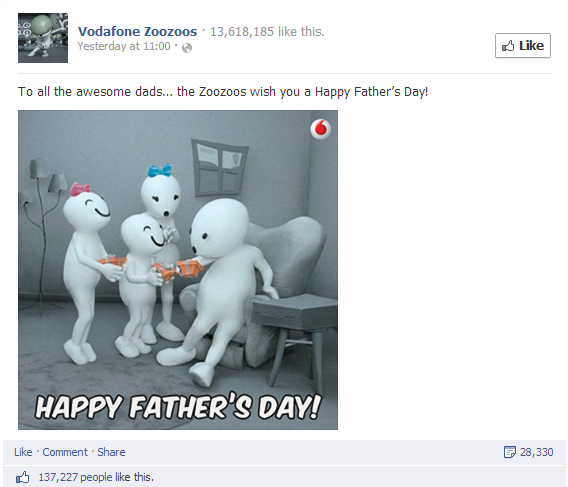 Vodafone Zoozoos: The most adorable brand on Facebook atleast for it’s funny characters – Zoozoos made sure that they brought a smile on the faces of their fans. With more than 13M fans, the brand posted a content on Sunday around 11 A.M. which has received more than 28K shares and got more than 2K people commenting on the post. The content also received more than 137K likes making it the most engaged content in the list. 2. 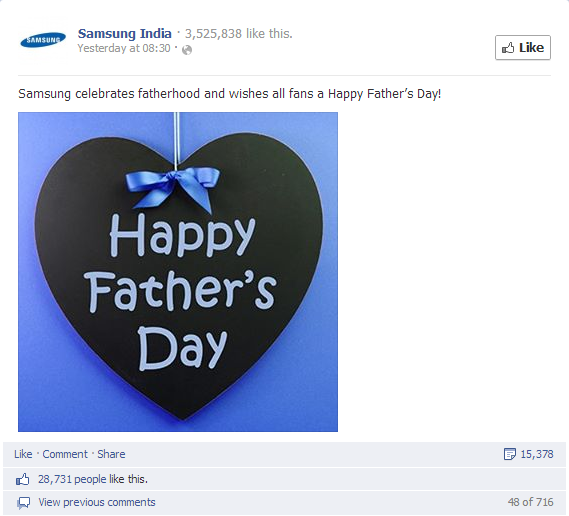 Samsung India: The technology company with more than 3.5M fans, wished them on Father’s Day. The brand celebrated by sharing a visual and wishing fans of the same. Nothing exciting in the content but the content which was posted yesterday at 8:30 in the morning got more than 15K shares and more than 176 people commented on the post. Besides more than 28K fans on Facebook liked the post too. 3. OLX India: The marketplace for buyers and sellers, OLX has more than 3.2M fans and it made sure that it wished fans on the occasion. 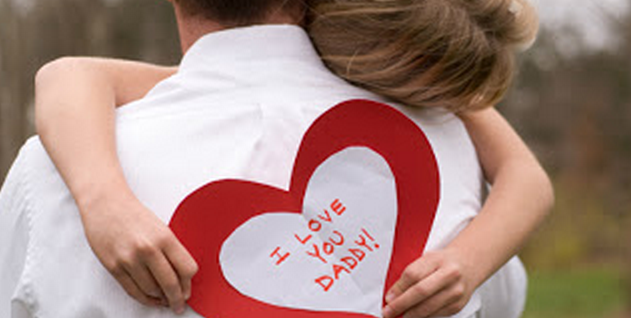 A father child’s visual content was posted on the page around half past eight yesterday. The content received more than 6K shares and more than 435 commented on the post. In addition to this, more than 16K people have liked the post which tagged a father as a super hero too. However, the visual content was not an original one and the brand had the courtesy to make it clear. 4. L’Oreal Paris India: The brand that encourages fans to discover and share their personal beauty ideas, L’Oreal Paris India jumped in for wishing its 1.8M fans on Facebook. The brand that posted the content around 11 yesterday had a lovely message targeted to women and their fathers. Even though it was not an original visual content from the brand, it received more than 5K shares and made 394 people comment on the post. The content also received more than 17K likes. 5. 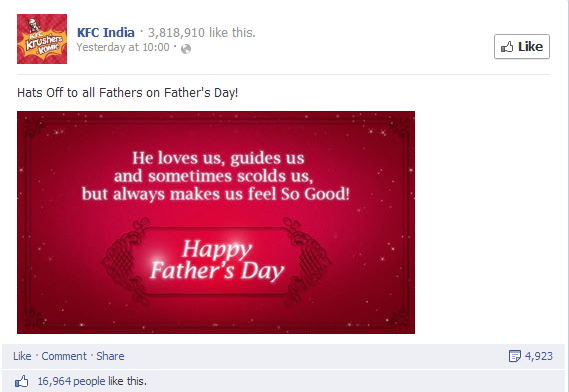 KFC India: The fast food brand made sure that it wished its fans on Father’s Day, smartly weaving in its ‘So Good’ tagline. 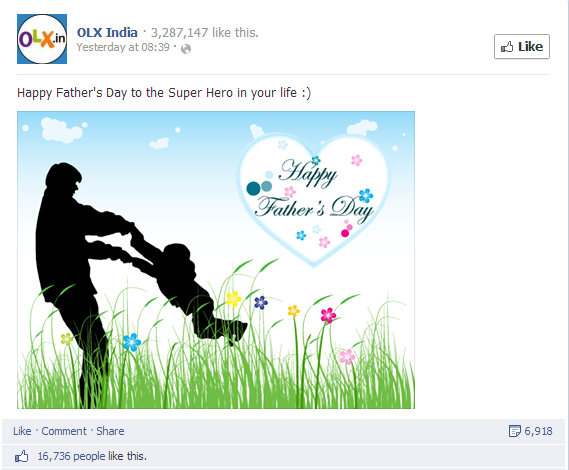 The brand that has more than 3.2 million fans on Facebook, created a simple but an appealing father’s day visual. The content was shared more than 4K times, got more than 394 people talking and was liked by more than 16K people. 6. 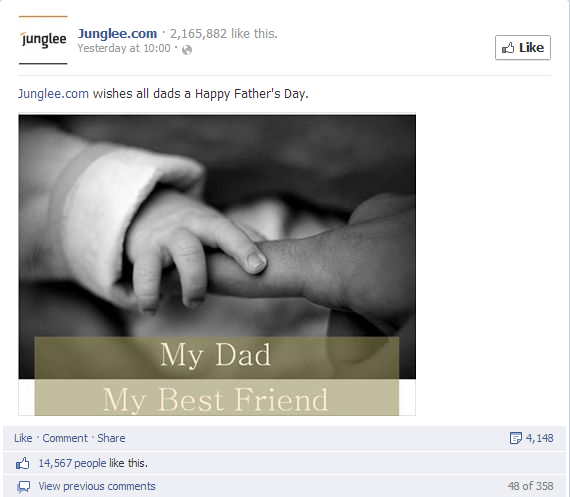 Junglee: The online shopping service by Amazon has more than 2.1M fans and it made sure to wish them on the occasion. The brand shared a visual content with an appealing message. The content was shared by more than 4K people, commented by 358 and liked by more than 14K people. 7. 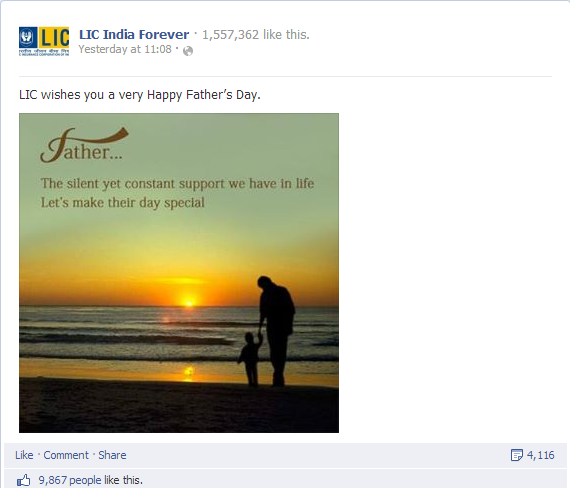 LIC India Forever: The trusted life insurance brand now has more than 1.5M fans and it also posted a content to wish its fans on father’s day. The content that was posted yesterday got into the top ten but the page is hardly active. The content was shared by more than 4K people, commented by 242 people and got more than 9K likes. 8. 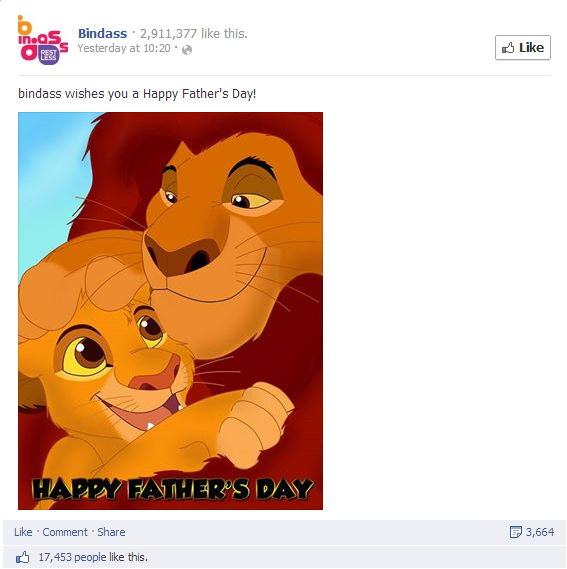 Bindass: The India TV channel which targets the youth and has more than 2.9M fans, joined in the celebrations of father’s day too. The brand posted a visual content which reflected the love of a father and child in an animated way. The content was shared by more than 3K people and got more than 17K likes. The content also made more than 308 comment on it. 9. 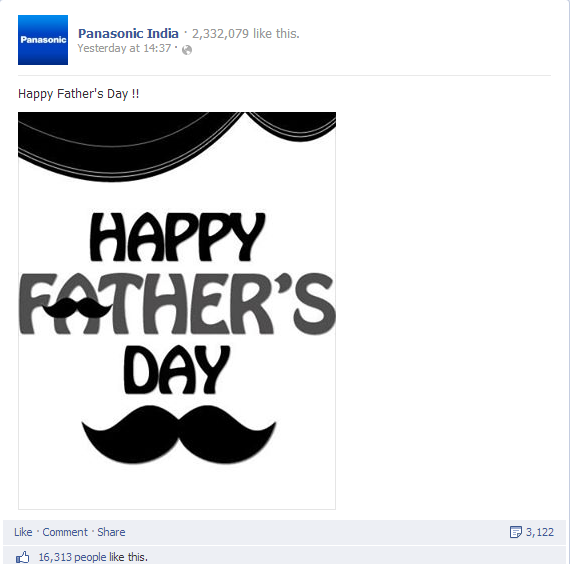 Panasonic India: The electronics brand which has more than 2.3M fans on Facebook, didn’t miss out on this opportunity. The brand uploaded an interesting visual content . The cool picture was shared more than 3K times, got more than 268 people talking on it and was liked by 16K people. 10. 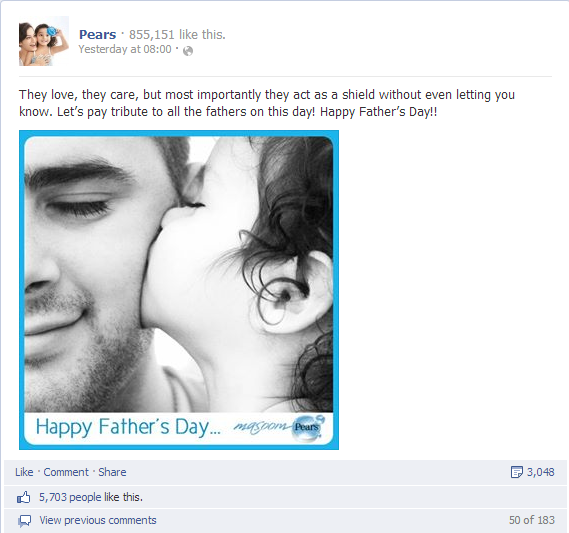 Pears: The brand that promises to keep your skin soft and smiling also wished its 855K fans on Father’s Day. The brand created an appealing visual content with an equally appealing message. The content was shared by more than 3K people, commented by another 183 and was liked by more than 5k. The content was posted yesterday around eight in the morning. L’Oreal Paris India stands out for me for the message, visual and the targeting of the brand in the content. Which one do you like? Disclosure: Unmetric is an advertiser at Lighthouse Insights.